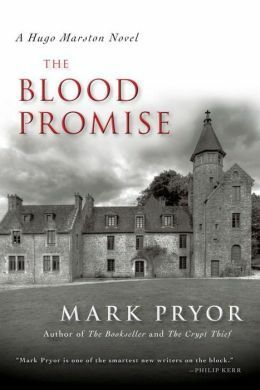 Fast-paced and set in the beautiful city of Paris, The Blood Promise pulled me right in. Hugo Marston (head of security for the US Embassy) is assigned babysitting duty for a visiting US Senator. Of course, his babysitting duties change when the case turns to murder. The regular cast of characters is back, although in this installment we don’t see much of Claudia, which surprised me. She mostly just pops up to let the reader know that she and Hugo are in an “off again” status. Her limited role is a shame, as I really enjoyed her character in the previous two installments. We do meet a new face, Lieutenant Camille Lerens, who works well with Hugo and his friend Tom, who continues his secretive work for the CIA. A slight history-with-a-twist theme, but this does not become much of a piece to the mystery until the end. I was a bit disappointed in that aspect; the ending felt rushed, and a little unsatisfying. As always, I enjoyed the characters and the Paris setting of this third Hugo Marston outing. While I have read the first two books in the series, I think a new reader will enjoy this book as well. This book refers several times to an event that occurred while Hugo was working in London, I am guessing this is foreshadowing to the next book, The Button Man (a prequel to the series). Hugo Marston is making it’s way towards a Favorite Series entry. We’ll see if the feeling continues into book four.